Here is the final! I decided to leave the background as is, and I think that I really like it that way. At first I didn’t think that the rougher watercolor paper worked with the drawing, but now that it is done I am pleased with it. I will try and do the next few pieces with a background that is more abstract and see how I like that. I was pretty happy with the way this turned out. Now, I just need to find out what this flower is called! 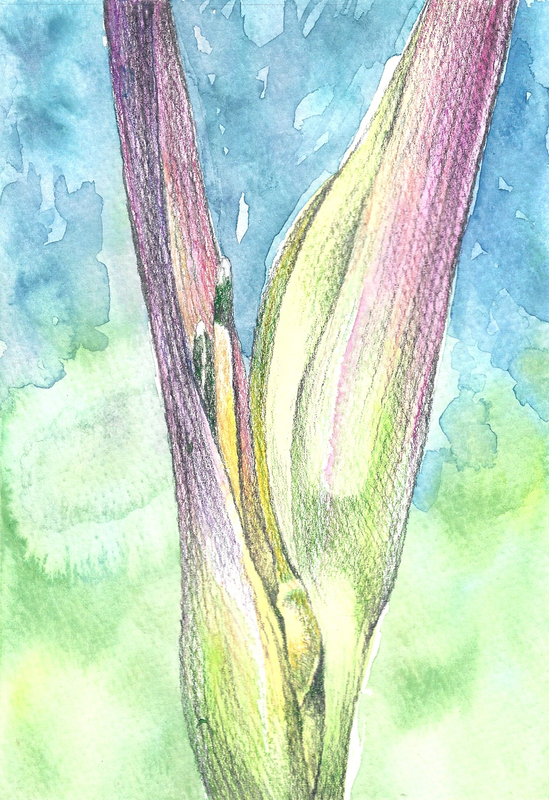 Image inspired by a flower that I took a photo of in one of the botanical gardens in Hawaii–I think on the Big Island…but I am not positive. I scanned this image directly on a photo scanner rather than taking a photo. I think that the quality is better. I need to experiment with this.